Give your eyes a rest and also experience the benefits of lavender with a handprinted eyepillow featuring the beauty of the Ginkgo leaf! 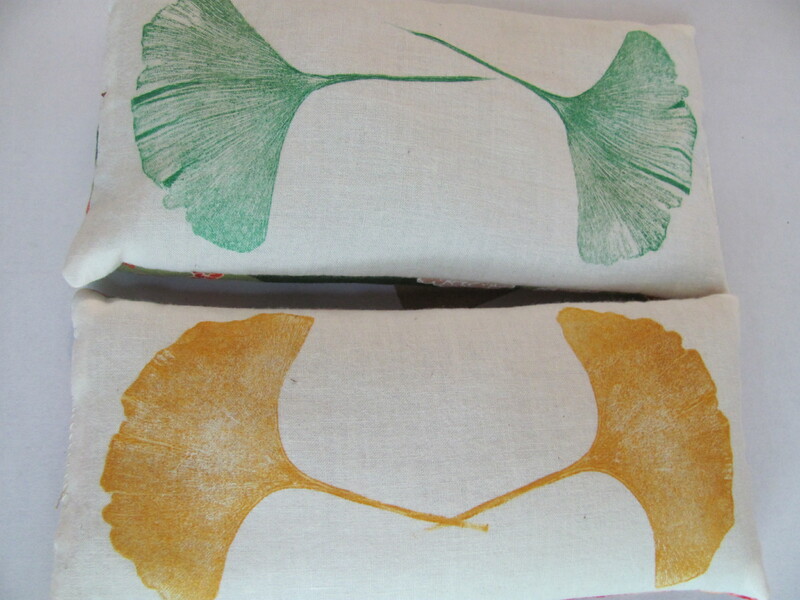 Each eyepillow is handprinted directly from a Ginkgo tree leaf onto 100% cotton and is filled with a soothing mix of flaxseed and lavender. It can also be heated or cooled according to your needs . Lavender has wonderful aromatherapy properties that are great for relieving headaches, insomnia, and anxiety. 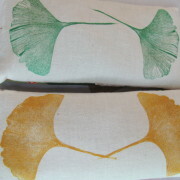 *This pillow is available in a golden yellow print or a dark green ginkgo print. Please specify in your order which color you desire. Category: Eye Pillows. 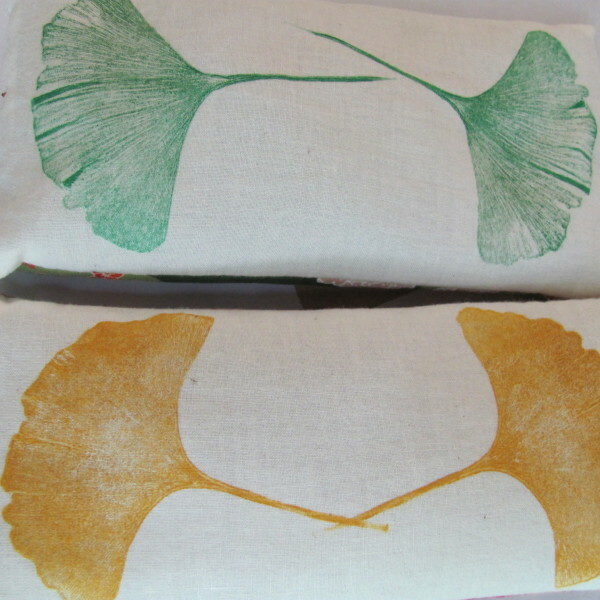 Tags: aromatherapy, ginkgo tree, hand printed, lavender, leaf print, nature print, wholesale, wholesale-eyepillows.